WITH the season of Lunar New Year, we can expect an abundance of the succulent, juicy and refreshing fruit that is the mandarin orange. Sometimes known as the tangerine, it is not to be confused with the common orange as it is smaller in size and has a thin skin that is easy to peel. Culturally, this citrusy fruit symbolises prosperity and good fortune. Let’s explore the other four reasons that make this quaint fruit such a hit. Like the common orange, mandarin oranges are synonymous with Vitamin C. So much so that even Vitamin C capsules are usually orange in colour! When our mothers told us to finish up our fruits and vegetables because they would help keep us strong and healthy, they weren’t joking. Vitamin C is a powerful antioxidant that helps neutralize free radicals, thus preventing damage to healthy cells and enabling our immune system to fight infections. Free radicals are highly associated with cancer as they cause damage to healthy cells. With its high Vitamin C content, mandarin oranges help to neutralise this threat. Mandarin oranges also contain Vitamin A, which research has shown to reduce the risk of liver cancer in patients with Hepatitis C.
High in antioxidants (including Vitamin C), this fruit not only helps prevent cancer and strengthen our immune system but also gives us healthy, glowing skin. The antioxidants protect the skin from harsh UVA rays, preventing damage caused by the sun and free radicals. 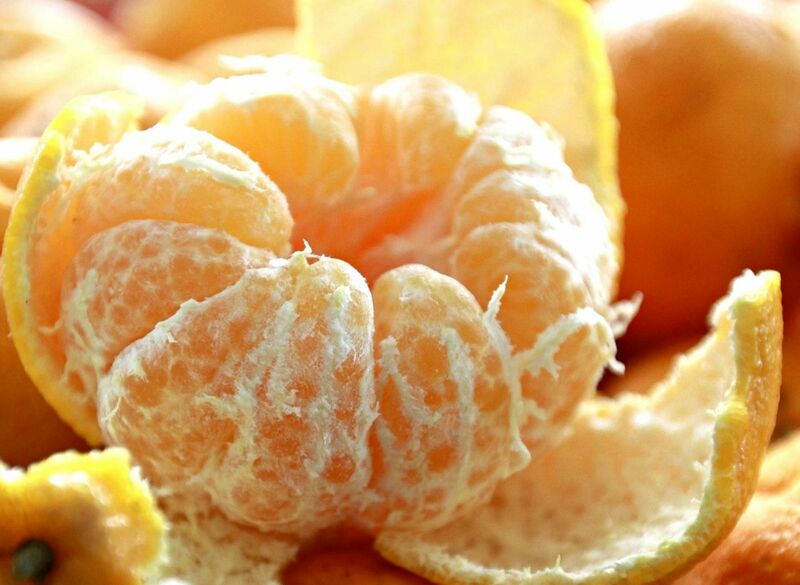 Mandarin oranges are also said to be able to reduce signs of ageing like wrinkles, fine lines and blemishes. Two words – dietary fibre. Mandarin oranges are a source of fibre, Fibre-rich food makes the stomach full faster and keeps the stomach full for a longer period of time, preventing the urge to consume more food than needed. Fiber also aids digestion, preventing constipation and a slew of other gastrointestinal problems such as irritable bowel syndrome. So this Lunar New Year, eat up those mandarin oranges. Gong Xi Fa Cai! Payal Sadhwani is a PR consultant who has a passion for food and writing.